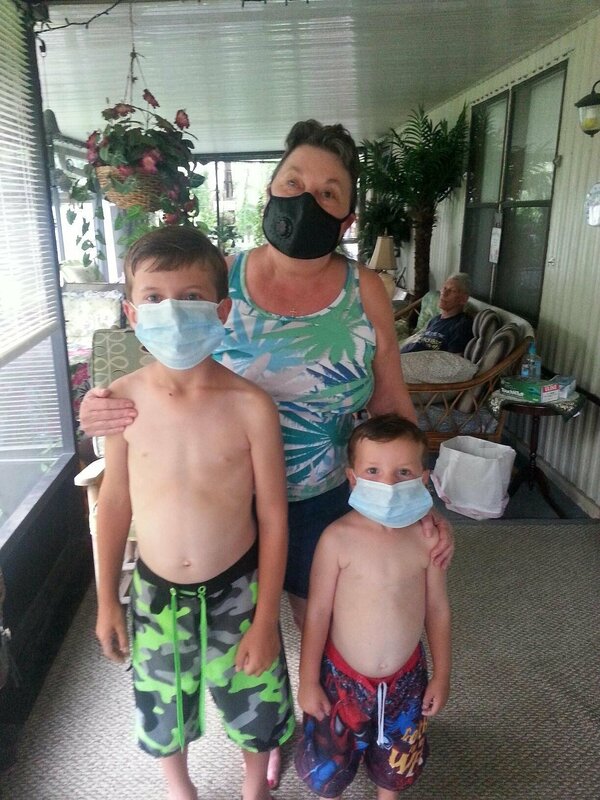 Let’s Help Tina Get Her New Lung! 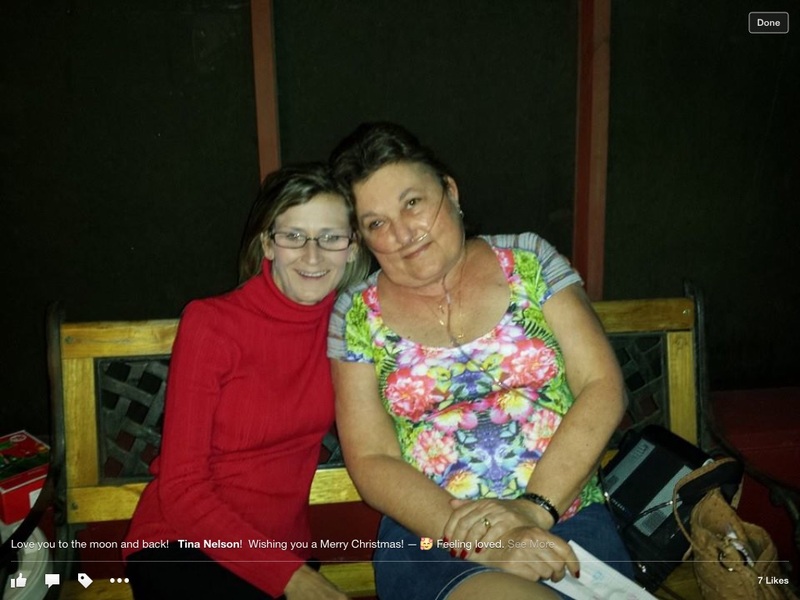 Tina Nelson is a 57 year-old woman who is very ill. Tina is my wife of thirty-two years, a mother, grandmother and a nurse by profession. Unknown at the time, she was born with Alpha1-Antitrypsin Deficiency, a rare genetic lung disease. Not until 1996 was she diagnosed with genetic emphysema. Now, after many years of treatment it’s time for a life-saving double lung transplant. Tina loves life. She is a caregiver by nature who takes enormous pleasure in her family, making a celebration of each birthday and all holidays. She chose to become a registered nurse and thrived in that role until her illness made it impossible for her to continue. Tina is an avid Tampa Bay Rays fan and loves spending time outdoors camping and boating. However, since 2010, Tina has been on oxygen 24/7. 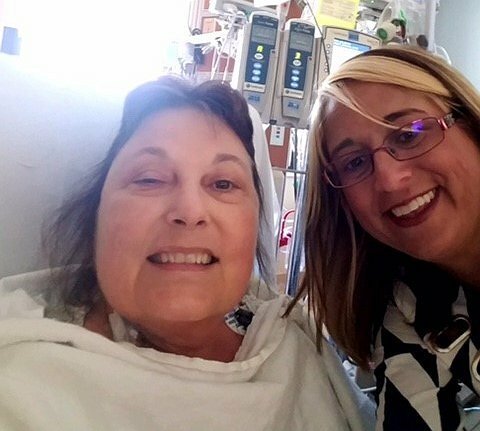 Through the years her health has declined, but an illness in March of 2014 took such a toll that a double lung transplant is desperately needed. She has been on the transplant waiting for over 16 months. Though transplants are life-saving they are also financially draining. We’re on a fixed income with disability. 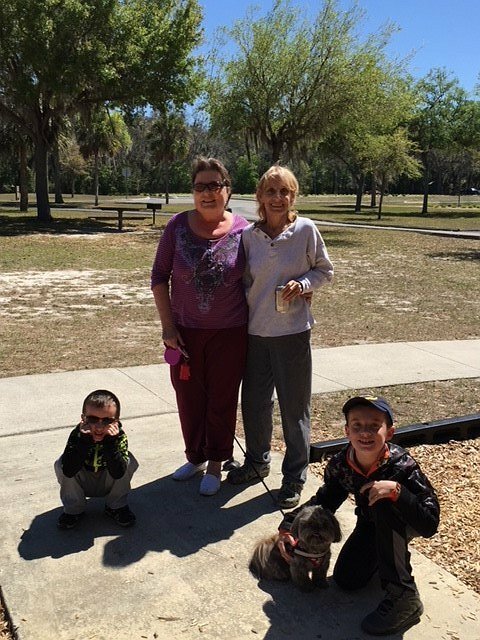 Even with Medicare, Tina is facing very high expenses that include copays, lab fees, and costly post-transplant medications she’ll need to take for the rest of her life. Your help can make the difference. It’s time to help Tina take a deep breath. To help with the financial burden of her uninsured expenses, a fundraising campaign in her honor has been established with Help Hope Live, a trusted nonprofit organization that has been providing community-based fundraising guidance to patients and their families for more than 30 years. All donations are tax deductible to the full extent allowed by law, are held by Help Hope Live in the Southeast Lung Transplant Fund, and are administered by Help Hope Live for transplant-related expenses only. Please consider a tax deductible donation. Please help us reach our goal for this life-saving procedure. Any size donation will make a difference. Thank you in advance for your support and generosity. Just an update I am eight months post lung transplant . It is absolutely wonderful not having to drag around oxygen. I have had a few setbacks and been hospitalized a few times hopefully again I’m back on the road to mend thank you for your continued support and prayers . October 6, 2017 made 6 months since my transplant . I’m doing well. A few setbacks but all in all wow what a difference . I look forward to the new journey that I have ahead. Thank you for your continued support and prayers . today was my three month follow-up post lung transplant. Some of the restrictions have been lifted I can drive my own car now I can start moving around and doing a few more things. . It’s still going to be a process but I’m so thankful that I’m feeling much better. I actually called the oxygen company and gave them a copy of the order to come and pick up the oxygen ,wow… I’ve had oxygen here in my house for 10 years I’m so excited. 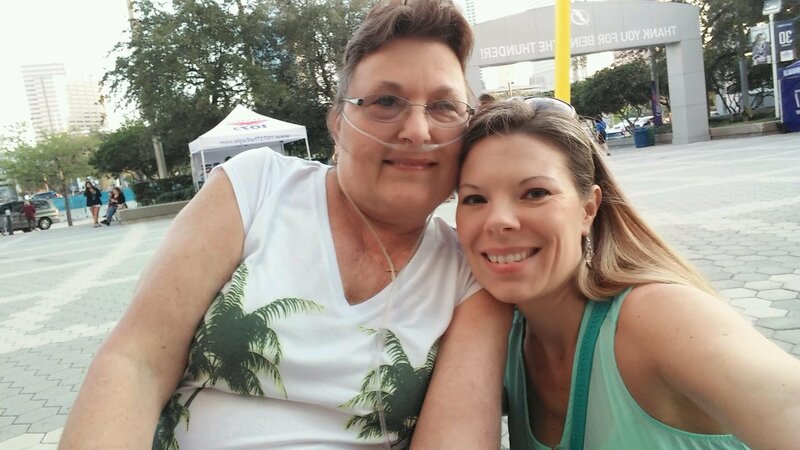 On April 6, 2017, Tina received her Life Saving Double Lung Transplant. She is at home on the mend. She has had some issues but is doing well. We would like to Thank you for your continued prayers and support. The post Transplant cost are still on the rise and if you can pass this on or help in our continued campaign it is greatly appreciated. Hello everyone this is just an update it now has been 22 months that I’ve been on the list . It has been a long time and I thank each and everyone of you for your support and kindness , with two dry runs under my belt I’m still waiting for the call to come with life-saving lungs . I do believe it will come . I will update as soon as I get more information . Again thank you for your support and prayers . Well it’s been a while since I have updated. So here it is. 17 months on the list and still waiting.. Hopefully I will get the call soon for lungs. Again please post and share. Thank you for your continued prayers and support. Well it’s 14 months on the Transplant List, but whose counting …me of course. Just had my latest appointment on this past Monday the 23rd, all is still going good. Just waiting for the PHONE to ring with lungs. We are thankful for each day and know when its time we’ll get the call. Thank you for your continued support and prayers. The 29th of December will be 1 year on the Transplant List. It has been a hard year, but we look forward to the call for lungs. We wish each and everyone a Happy and Safe Holiday Season. Again we thank you for your support and prayer. A new update to you all. Well next week will be 11 months on the Lung Transplant List. It has been a long struggle, but thanks to your support and prayers we are still in the fight and running strong. Just an update. Still doing well as can be. got the call on the 24 of September but after hours at hospital, the lungs weren’t good for transplant. So we came Home . waiting for the next call. Again thank you for your support and prayers. Just an update. I’m on the list for 8 months plus now. All is going well, it’s just the waiting. I’m officially in the 3 month club, that means I actually get a little of a break only have to go to pre transplant clinic every 3 months instead of each month. I must be doing something right ! we appreciate your prayers and support. Hopefully I’ll get the call soon. Officially 7 months on the list. Still hanging in there, no new changes again just the waiting. Thanks to everyone for your continued support and prayers. Well it’s 6 months on the list and doing ok. Just the waiting time. Just a quick update to say all is about the same. Again, Thank you for your support. I thank everyone who came out to the Benefit on the 23rd. It was great seeing you all. We had a wonderful time. Even got in a dance or two. I had my appointment on the 26th of May and it went well . On the list now for 5 months. Time is really going by. Thank you again for your continued support and prayers. Another month has passed, appointment went well at TGH. Just the waiting . Can’t believe it’s already been four months. Hope to see you all on the 23rd, at Uncle Mikes Smokehouse for the fundraiser. Thanking you all for your support and prayers. TGH appointment went well today. 3- months on list as of 30th…..Hope to see you all at the Fundraiser on the 23rd of May. 2 months today on list ! I’m ready. Again thank you for your prayers and support. Monday the 23rd is my next appointment at TGH. one month and three days on list. But who’s counting. That would be me! Feeling good this week. Thankful for each day. I had my monthly appointment at TGH, all still a go. just waiting. Can’t wait for the weather to make up its mind to be cold or hot. Until next time. Take care and again, thank you for your support. Tina and Henry. Wishing everyone a Happy and safe New Year. Thank you for your continued support. Henry and Tina. You can do this!!! One step at a time. Love you..
Aunt T....Things have not been easy lately, but we are here to help. Stay strong...Love you!! Tina, Always there for you. Love and prayers your big sis. Tina, I am praying for you. I hope this donation helps. When I can, I will donate more. Are you part of LifeLink? Wishing you good health, Tina. Tina, You are a fighter! Stay strong. We are behind you all the way. Best wishes always. Tina I know it has been a long hard fight for you through the years with this battle with your lungs. I hope and pray you get the transplant and all will be good for you again, if anyone deserves this gift of life it is you my friend. All my love and prayers goes out to you and Henry. Henry thank you so much for taking such good care of our girl for all these years. Aunt T...Thank you for always being there and taking care of us when we needed you. Now it is our turn to help you. Please know that we are here supporting you and both of you are in our prayers. We love you very much! Dear Tina, I love you very much and I pray every day for a lung to come through for you. Miss you. Tina, We are all praying for you, we love and miss you. I hope you get well soon! My thoughts are with you. Tina , Well wishes for you and your family with thoughts and prayers of support! Take care! Tina you are in my thoughts and prayers. Much love! God bless you. Love and prayers coming your way!